TruePublica Editor: This is the Britain of today. This is Theresa May’s famed ‘hostile environment’ – it shames us all. Theresa May was barely two years into her job in 2012 as Home Secretary when she made her strategy as clear-cut as possible by, telling the Telegraph that it was her intention “to create here in Britain a really hostile environment for illegal migration”. May was tasked with delivering one of David Cameron’s election promises – that immigration would be reduced to the tens of thousands. This is a pledge she never got anywhere close to that has still not been realised that even with Brexit will not happen. In the wake of the Windrush scandal that saw May’s own Home secretary sacrificed to save her skin – the prime minister said the policy was intended to identify illegal immigrants and said it would remain. This defiance continues even though thousands of people who were quite rightfully British citizens had their right to remain in the country and use healthcare, housing and other public services questioned. The only apology provided was so insincere and disingenuous as to be thoroughly false in every sense – “I apologise for the fact that some people, who should not have been caught up in that, were caught up in that – in some cases with tragic results” May said to the BBC’s Andrew Marr show. The Windrush scandal exposed little more than an absolute moral failure at the beating heart of this truly awful government. People have died, lost their homes and health. Many lives have been destroyed and have done so at the hands of Theresa May. And yet – after all the scandal, it appears the Home Office have taken leave of their senses. In addition, any sense of morality has been thrown into the waste-basket. Here is a tweet that seems incredulous to a normal thinking human living in 21st century Britain. I checked this out and it appears completely legitimate. At the time of writing this article, Sharon O’Dea had well over 1,000 retweets and 1,200 ‘likes’ to the above. 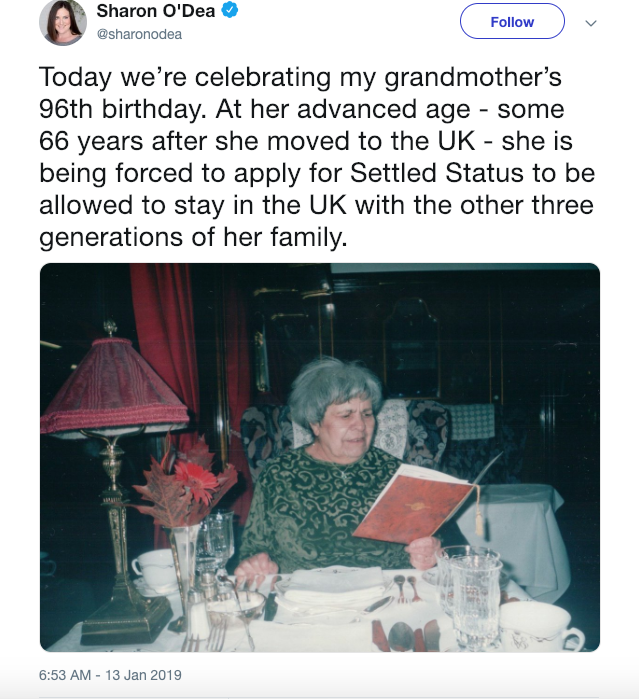 It appears that the French Embassy has not been helpful either – demanding that despite her grandmother’s age and total lack of mobility – only a personal visit can start the process. This is so they can take fingerprints. 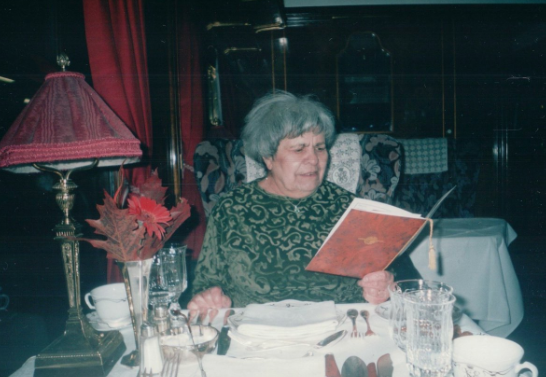 The grandmother last visited France in the 1980s and her last close relative who lived in France died 40 years ago. She does not hold a valid passport as she has not travelled out of the UK since then. It would be fair to say – this is a pretty hostile environment – especially for the very elderly, those unable to leave the house, who may need NHS care at any moment, which could be denied because of bureaucratic failure, because of a lack of basic decency.